I understand that many people do not have the luxury of tracking back their ancestors, and it actually doesn’t matter what or who your ancestors did or were many years ago – only the present and future really matters. From a historical point of view though, looking back in time often delivers some interesting results. One such surprise is the following story on a building that used to be family property. 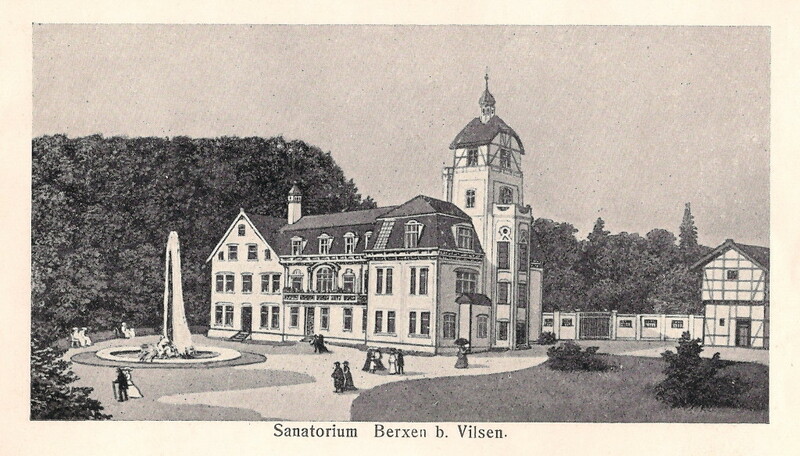 The other day, my mum had asked me about driving to a very small village about 50 km south of her place where my great-great-grandfather had owned and run a sanatorium as a medical doctor from 1905 to 1915. One my great-aunts used to tell us stories about this place, and I remember going there on a trip with her sometime back in 1986 or so. Back then, we actually never found the premises, so tracking the whereabouts of this building used to be one of those open questions that needed to be solved one day. 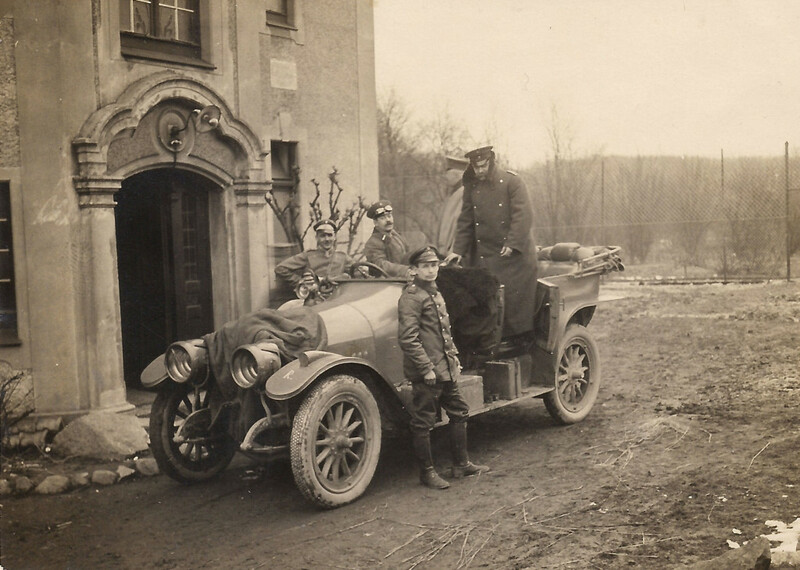 My great-great-grandfather apparently was a strange guy, whose family had immigrated from France Alsace in the 19th century and who had volunteered for World War I in 1914 which eventually led to his death in 1915 at the age of 56. Yes, back then, people still volunteered to die for their motherland. 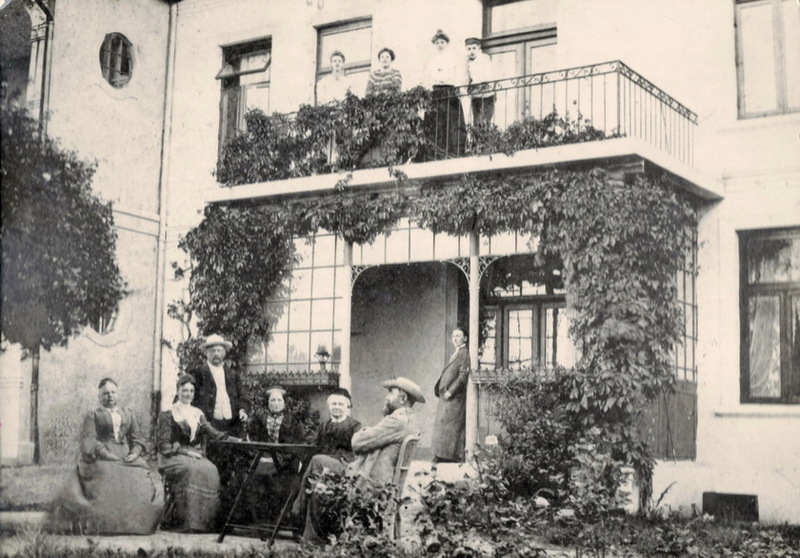 You can see him in the following picture (standing behind the table) where he and some family members are in the garden of their spacious house in ~1912. After my great-great-grandfather’s death, the place was sold to someone else and the current owner then bought it during the 1920s in 1932. After being used as a sanatorium (= healthy rural life with good food, fresh air and no distractions), it was turned into a prison for Russian P.O.W.s (who had managed to escape by digging a secret tunnel from the house to the fence) and later on it was used as a farm house, with the old rooms (to the left on the picture) being used as a barn (!) for the cattle. The building was constructed in 1905 and is under preservation order today. If buildings could talk, it would be interesting to hear their side of the story. The old entrance – during WW1 and today. 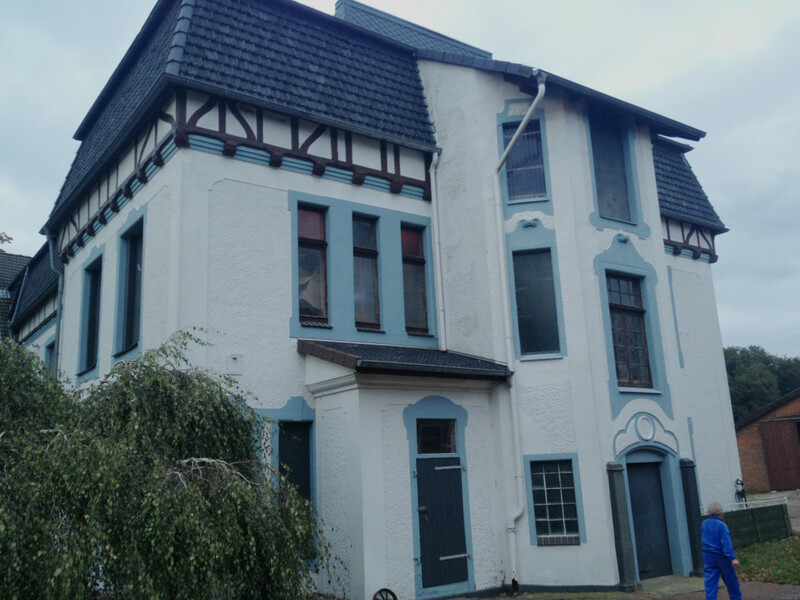 You’ll notice that the top cover of the tower is gone – the current owner (the old lady in one of the pictures above) said that it had burned down many years ago. It’s a very strange feeling when you’re never really searching for something and then – on a rainy sunday afternoon in autumn – spontaneously drive to a small village and find what you had already written off many years ago.